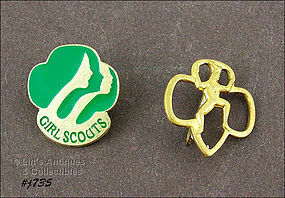 This listing has two Girl Scout pins! The gold color pin measures ¾” x ¾”. The other one measures 1” x ¾” and is dated 1980. These are neat collectibles. Excellent condition Girl Scouts hanky! Measures 9” x 9”. This listing has a Girl Scout hanky – “Be Prepared”! 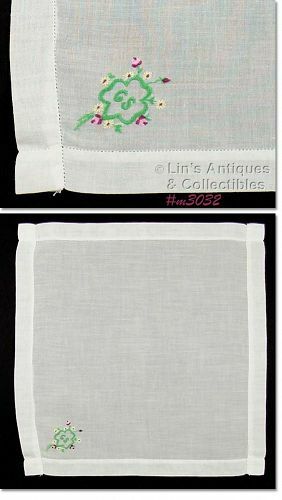 Handkerchief measures 11 ¾” x 11 ¾” and is in excellent condition. Excellent condition Girl Scout hanky! Measures 12 ¼” x 11 ¾” -- super collectible! 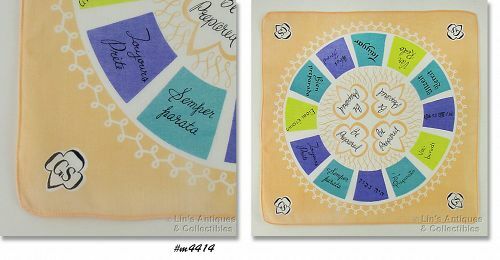 This is a super collectible hanky! 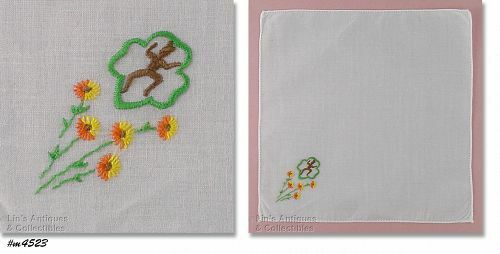 It’s a Girl Scout hanky and has simple embroidered styling rather than the usual printed design. Hanky measures 12” x 12” and is in wonderful condition. 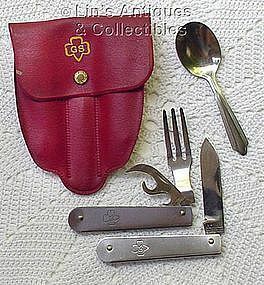 Neat item – this is a Girl Scout utility kit! The plastic holder contains a folding spoon with can opener, a fork, and a knife.